Here is a gadget carried in my pocket, most of the time, attached to a keychain. 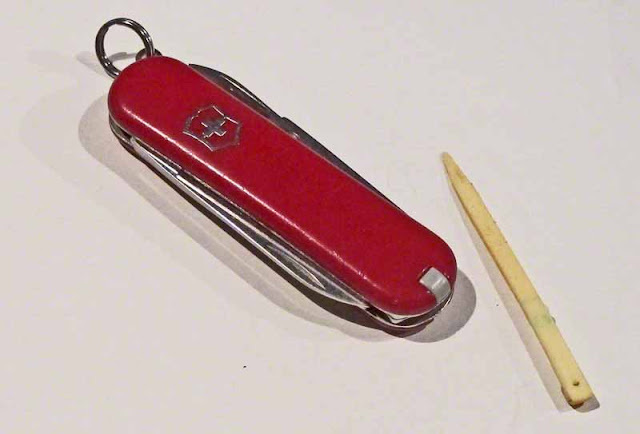 I've been using these little Swiss Army Knives for over ten years. I'll start right off telling you this is one product that gets a FIVE STAR RATING from RyukyuMike. That way, if you have a queasy stomach you won't have to read the whole review and look at all the photos. Just go to the Amazon Store and buy one. To give you a sense of scale here's what the contraption looks like attached to my keychain. That little cow-bell up there came all the way from Switzerland, too. My Huskies respond to it. 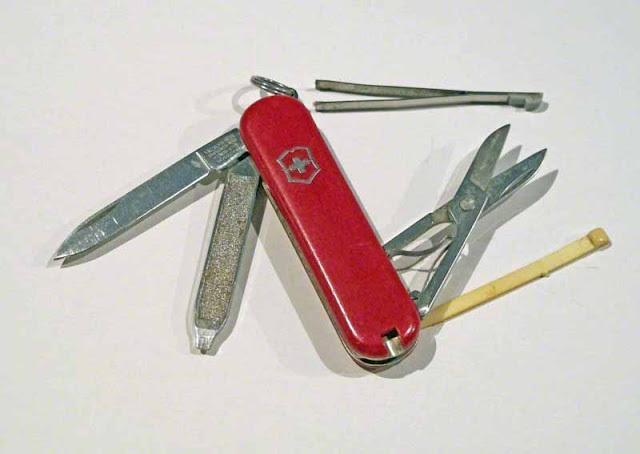 This Swiss Army Knife is advertised as having seven tools. Everybody knows about the knife and scissors, some of the other gadgets might need explaining. I pulled out the toothpick so you can see it. This photo depicts three more tools, all combined into one piece of hardened steel. That's right ! What you're looking at is a fingernail file, a flat tip screwdriver and a screwdriver that works on phillips-head screws, too. That's why it's tapered. I wouldn't recommend using it to try and change the muffler on your car, or anything like that but, the screwdriver does work on an amazing amount of little gadgets. No need to call AAA to open the battery box on Energizer Bunnies with one of these tools handy. 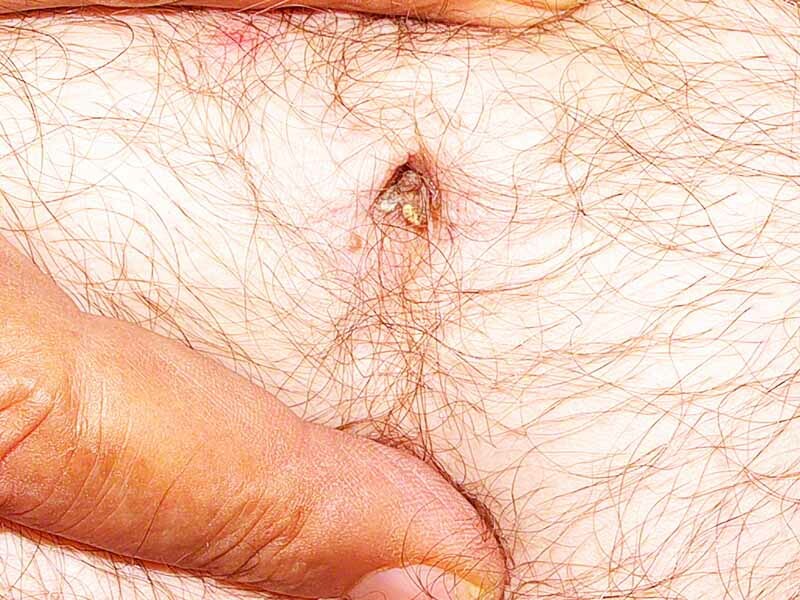 There has been an incredible amount of Search Engine traffic where people have been coming to my blog with "Can a tick get into a bellybutton"? and "How do I remove a tick from a bellybutton"? There was a model's fingers lined up for this part of the photo shoot but, she got a queasy stomach and I told her that's OK. I still like Ryukyu Rusty's Gal. She just missed out on a chance to be a member of my Swiss Army, if I ever decide to start one up. It's not for everybody, you know. If you have a Swiss Army Pocket Knife and a tick crawls into your bellybutton, here's all you need to do. 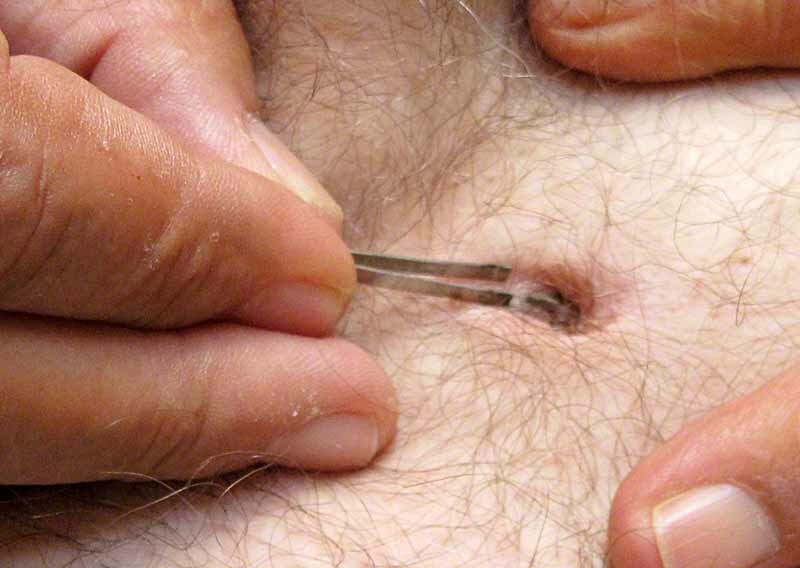 Take the tweezers, grab ahold of the little sucker and pull him out. It's easy. Doctors, may not approve of Ryukyu Mike's methods but, this is the way I do it when there's none around. There would have been a few more photos showing how I torch the tick (with a lighter) while holding it with the tweezers. That's to make sure they don't get on my dogs, or anyone else. But, I was in a hurry to get two more ticks, I'd been playing host to, when the first one escaped ! 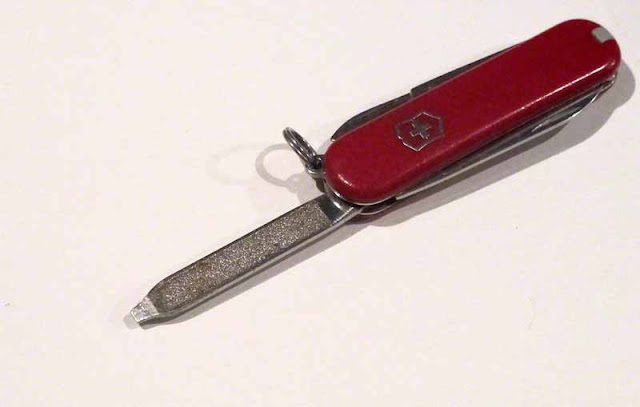 Back to the Swiss Army knife. The scissors and knife blade are the tools I use the most. I use them to open snailmail, medicine bottles, "New Improved" absolutely idiotic-any-kind-of-containers or packaging from aspirin bottles to DVDs to freakin-impossible-to-open-with-your-bare-hands packages of frozen food. 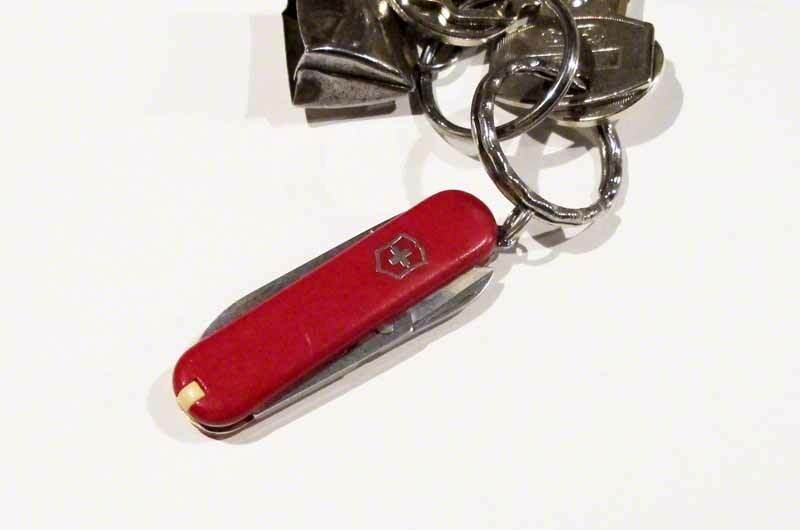 The Swiss Army knife will never let you down. I love it. One of the things that amazed me the most when I got out on the road in a big truck was just how many men(?) did not even have a pocket knife on them. I mean, I feel plumb naked without mine. By the way, hasn't your bellybutton gotten enough attention already? Just wondering. No more bellybutton shots, I promise. Well, unless one of those big banana spiders crawls up there!